Newlyn Harbour and slip. This area of foreshore within the harbour was known as the "Banks". The fishing boats are PZ 108 "Boy Jim", PZ 361 "Boy Ron", PZ 204 "Boy Bob". 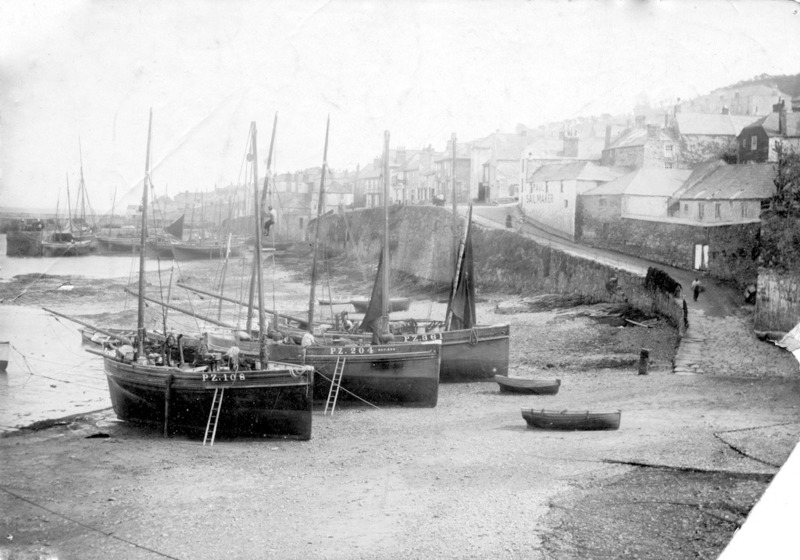 “The Banks - Newlyn harbour foreshore,” cornishmemory.com, accessed April 20, 2019, http://cornishmemory.com/item/MOR_1_002.